TORONTO -- The family of an 11-year-old Toronto girl has reportedly apologized for the "pain and anger" they caused, after the girl's claim that a man cut her hijab turned out not to be true. "This has been a very painful experience for our family," said the statement, first reported by the Toronto Star. "We want to thank everyone who has shown us support at this difficult time. Again, we are deeply sorry for this and want to express our sincere apologies to every Canadian." The alleged incident made international headlines and drew swift public condemnation from the prime minister, Ontario's premier and Toronto's mayor. Spokesman Mark Pugash said in an interview that police weren't prepared to discuss how the situation escalated. He stressed that it's "very unusual" for someone to make such false allegations, and he hopes it will not discourage others from coming forward. In their statement Wednesday, the girl's family said when they heard her story, they "assumed it to be true, just like everyone else." They added, "We only went public because we were horrified that there was such a perpetrator who may try to harm someone else." 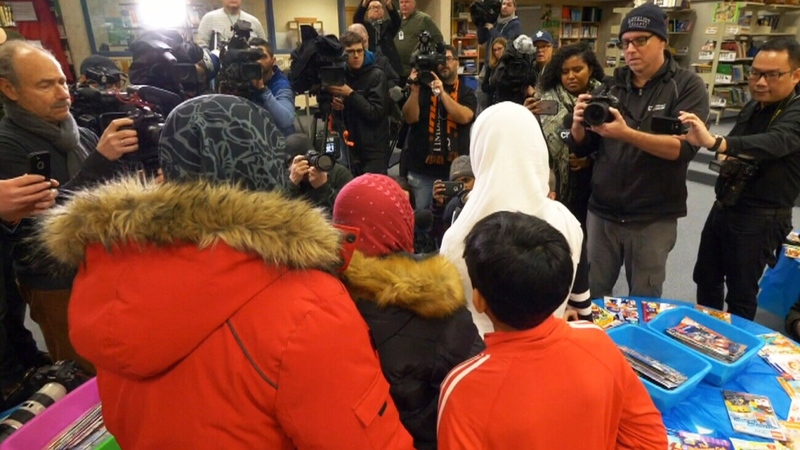 An 11-year-old girl and her family speak to reporters at Pauline Johnson Public School in Scarborough on Friday, Jan. 12, 2018.